Martin Ramon Nievera was born on February 5, 1962, in Manila, Philippines together with twin sister, Victoria, to Bert Nievera & Conchita Razon. Nievera spent most of his childhood in Hawaii together with his father as his father sang for the group S.O.S. (a.k.a. A Society of Seven). Inspired by his father’s talent and success, he returned to the Philippines in 1982 to begin his own singing career. As an actor, Martin has an extensive acting career and has appeared or starred in movies and television series and specials. Martin’s film credits include dramas, romance, science fiction, comedy and action. Mojofly offers a more radio-friendly, pop-leaning alternative to the other Filipino rock bands of today. Apart from once garnering the much-coveted slot for MTV Lokal Artist-of-the-Month (March, 2005), Mojofly also boasts a list of celebrity endorsements from Del Monte Pizza Sauce to Penshoppe and Cream Silk Conditioners. The theme song Choose and vast multi-media exposure from the Cream Silk â€œGirl Power, Pink Powerâ€ campaign brought MOJOFLYâ€™s sound and Lougeeâ€™s vivid image into every household. Enjoy the video of Choose below. Andrew Espiritu (born July 31, 1965), better known as Andrew E., is a Filipino rap artist & comedic actor. He is known for his first single and film Humanap Ka Ng Panget in 1991. 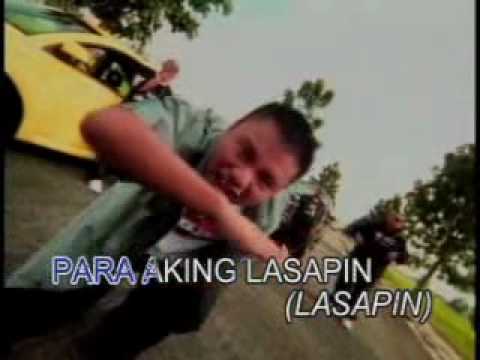 He began his career in December 1990 and the combination of his catchy story-telling rap style, irresistible beats, naughty and often hilarious lyrics made him unique in Philippine pop culture. Kamikazee is a rock band from the Philippines composed of Jay Contreras (lead vocalist), Jomal Linao (guitars/back-up vocals), Led Zeppelin Tuyay (guitars), Jason “Puto” Astete (bass) and Allan “Bords” Burdeos (drums). They all met at the College of Fine Arts in the University of the Philippines Diliman and started performing there as well. You are currently browsing the Philippine Music weblog archives for October, 2008.